I love love love my gDiapers! They are the perfect combination of cloth diaper and cute trendy pants. I just can’t rave about them enough. They work so well and rarely leak in my experience. They won’t make your babies bum look like a cloth diapered baby, either. They are pretty trim and fit so easily. I just LOVE them. I use the reusable cloth inserts in my gDiapers. I usually soak them in a bucket before washing them in the washing machine. I only wash the actual pants or the outer shell once every week or so, just when they get dirty or wet, which isn’t very often. But the only problem is the gDiaper inserts will run you about $5 each! Yikes. The whole point of using cloth is to save money (and the planet, of course). I originally bought 18 of these inserts and still need more. So here’s a tutorial to make you own! These ones have a cotton print on the bottom just for fun! They cost me less than a dollar each! A serger is a good plus for this project, but if you don’t have one, a tight zig-zag stitch can be used instead. 1. Cut out 4 layers of fleece and one layer of cotton print with your pattern. 2. Pin around the edges. 4. Serge around the edges. And try them out in your little gPants! Don’t you just love that little typographic ‘g’?? I am preggo now and have done a TON of research on diapers and have chosen the lil’ gpants. I will be making a handful of these to test out. I will have to make mine with just a sewing machine but I am still excited. Do you have any advice to go along with these diapers? OMG these are absolutely gorgeous! I am a CDer, but never used G diapers. This would make me want to consider it. You do amazing work. waoo..i will tell this idea to my sister,she is married & having kids..well i am a single girl & student..don’t need but i like your tutorial…nice..keep it up..thanks for your visit & comment dear.. Thanks Candice! I never thought CDing would be so easy! I enjoy your writings on your blog too! These look absolutely fantastic! Thanks for your email…I’m going to link to them right now! I am a CD mama and use mostly prefolds and contours with covers, but I also have a few Flip! covers and inserts and I am wondering about using fleece? Is it absorbant? I assumed the fleece layer was for wicking into the microfiber, but I have never seen or used gDiapers so I don’t know if they are different. I would love to know where I can find some bamboo fleece if it is different from the regular polar fleece kind of stuff you use to make jackets and blankets out of. I’m glad they worked for you. I tried g diapers with my little boy and they were terrible for us. Leaked all the time! I love these! Have you tried to make a cloth diaper as well? I am wanting to make the whole system. Any ideas on the fabric and design? I just found your blog and this pattern! How great! 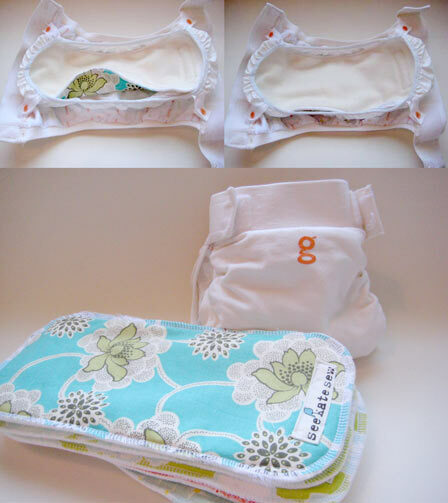 We have g diapers – we have 5 actually, and I don’t have the $ for more inserts. This is WONDERFUL! Thanks for sharing!! On my list of “to-do’s”! Do you sell these on Etsy? I would buy at least 10 of them! @Amy I don’t sell them on etsy, but they are so so easy. I promise you can make them! Great Idea! I have tons of questions on cloth diapers, if someone could point me in the right direction. Maybe I should try the G diapers. I have heard a lot of great and bad things about them so I am torn weather to spend the money.. or just try and make my own cloth diapers. Would love to hear some opinions! Thank you so much for this! I’m also wondering where you buy the bamboo fleece? Is it something that you have to special order or can it be easily found in a fabric store?? Hi Kate, thanks so much for this tutorial! I had a lot of fun making my own inserts. Where did you buy your bamboo fleece? I could only find a cotton/bamboo fleece blend, but it is like sweatshirt fabric, not like what I think of when I hear fleece (i.e. what the real gDiaper inserts come in). Thanks! I love these! I am wondering, do they fit the Grovia AI2 diapers? I have no clue Holly! But you can print out the pattern and see if that fits! Silly question – I’m having trouble downloading the pattern – the program (Scribd) wants to post info to my facebook and have me pay money with paypal. Am I downloading this wrong? If I ever have another baby, I’m going to give these a shot. I think because the pattern is now “archived”, you either have to upload something yourself or pay to download it. Bummer! i am so excited to make some of these!! 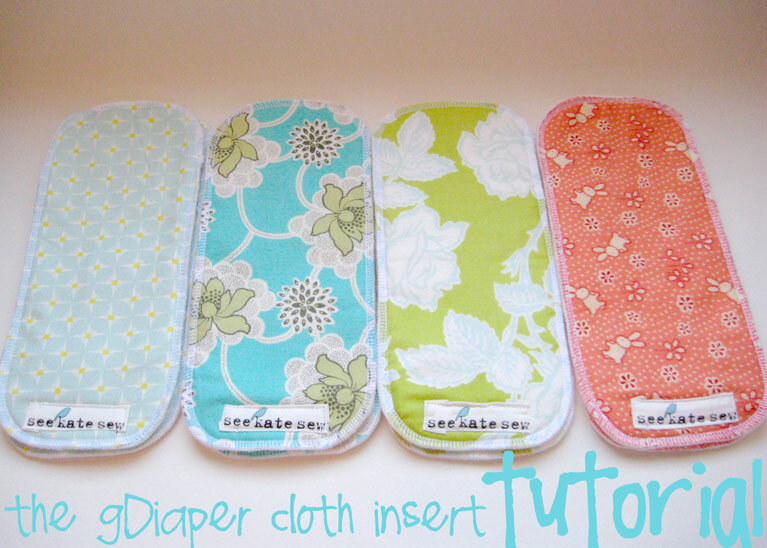 i need more liners for my gdiapers.. i am a huge fan as well.. and can always use more liners! Thanks for the tute! Thank you so much for this tutorial! I am doing gDiapers as well and wanted to find a little bit more economical way of getting a hold of enough of the cloth inserts! Perfect! Thanks so much! I bought a pack of 6 inserts, and like you said, they are $5. each. Ouch! This is not the way to save money. I bought some fleece and have been serging away. I now have 24 liners and with my coupon, they cost only 50 cents each. Thank you, thank you, thank you! thank heavens for this tutorial. I’ve actually been using my prefolds shoved into my gdiapers when i run out of inserts, but this is a much better idea, and so easy. Awesome! I’m totally a gCloth user too and I love my gDiapers, just not the gCloth inserts. I’ve been using all bamboo G-flappers from the Nappy Shoppe at $8 a pop, but totally worth it. I’m excited to buy some materials and my my own! Does the fleece need to be pre-washed/pre-shrunk before cutting/sewing? Thanks so much for this awesome tutorial and encouragement!! @kelly – you don’t need to prewash but you can if you want! So, I had the same problem trying to download the pattern. I just right clicked on the picture and saved it as a picture to my computer. Hope that helps! Kate, where did you buy your bamboo fleece? I bought some 100% polyester antipill fleece (all they had at Joann’s) will this work?? Thank you & yours are soooo cute!! Do these work just as well as the reg g diaper inserts? The regular ones that you buy are made with some special fabrics including hemp. They are also pretty and have a cute little orange tag. But I’ve found these ones work. They get wet and you wash them! It’s worth it to me, but if you like the softer fabrics, the ones you buy are pretty nice! Good luck! Thanks :) Do u get any leaks from them and are they as thin as the reg gdiaper inserts? I just tried to find bamboo fleece at JoAnn Fabrics and all I could find was in the batting section. It is not the fluffy sort of batting, it was in sheet like form and it was a bamboo/cotton blend. Do you think this would work for the bamboo fleece part??? Otherwise I don’t think I can find it! You need to buy BAMBOO fleece (Natures fabrics has it) or use flannel or even microfiber as long as you use something else as a top layer (microfiber shouldn’t be against skin). Regular poly fleece from Joanns will not absorb. You need absorbent fibers like cotton, hemp, bamboo. So i dont have any kids yet but i was wondering when your out in public what do you do with your reusable diapers do you have something to put them in intel you get home to clean them or how does that work? I had a massive stack of old receiving blankets my friend gave me, so I cut them up and used 5 layers and they work great! I was using them as a prefold but now these LOOK great and fit perfectly! Do you have to prewash your cotton? These will work in Flips also!!!! Can you strip them the same way you would the gdiaper gcloths? How often do you change the diaper with these materials? And do you find you have leaks? I’m excited about trying these. just wondering where you bought your material that it only ended up being about $1 each! THanks! Great tutorial! Can anybody send the pattern to me? I tried to download it and was asked to pay every time, then I tried to save as but it comes out as 17 inches long – that doesn’t seem right! Thanks for the tutorial! I’m excited about making these. I’m trying to find the correct bamboo fleece. Will bamboo rayon fleece work? I don’t know much about different types of fabric. Thanks! Thank you so much for this tutorial, have been making and using my inserts for 10 months now. For those having trouble locating fabric I order mine from wazoodle.com (I live in Canada and we don’t have Joann’s.) In fact, my babe is a heavy wetter and I’ve been using zorb in addition to bamboo fleece– works great. Thanks again!! Hi, I don’t own a serger :( do you have any ideas for me? I would love to buy some from you!!! would you sell them on Etsy? Hi, I don’t have a serger! :( do you have any ideas that may work for me? I would love to buy some from you, would you sell them on your Etsy store? I’m making some over on my blog http://thisandthat942010.blogspot.com/ but need the dimensions for the liners… do you happen to have them for small? I know this is an old post but any dimensions of any size would be such a blessing! 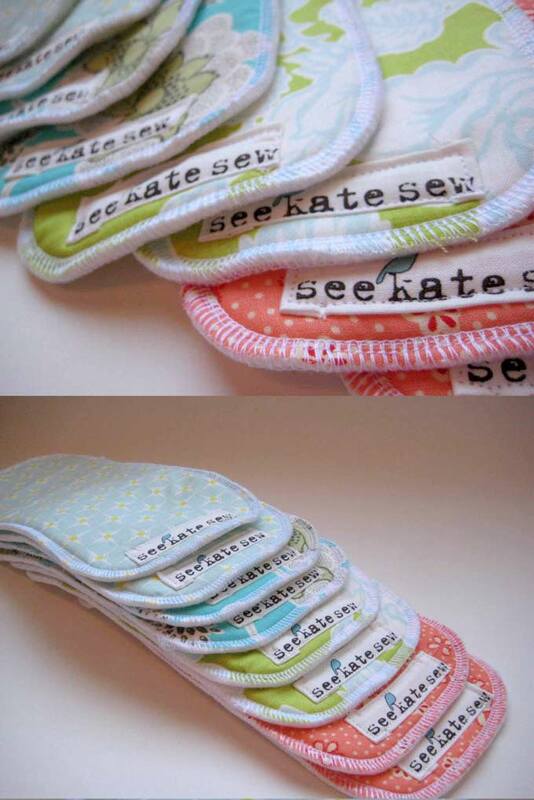 LOVE this tutorial – only problem is I don’t have a sewing machine nor have I ever sewn anything! :( I wish you would sell them in your etsy shop! I’d totally buy them! ;) Thanks for sharing this with us though! So cute…. This was sooo much fun to make! Thanks a bunch. Excellent! I just made some for my grandson (my own design) and used white with blue dots to back them. I also used 2 layers of bamboo for absorption and a layer of microfleece to wick moisture. I am happy to report that the home made diapers are working very well. My daughter said they are more absorbent than the original G diapers. What sort of fleece specifically do I need? Micro fleece? Thank You!!!! I’ve been googling alternatives to their flushable inserts for what seems like forever. . .this is great! I am also having the same downloading issue it says you HAVE to pay. I did save the picture as a jpeg, but I am concerned the dimensions will be messed up. Can you please tell me the dimensions of the liners or perhaps post the PDF within the tutorial? Thank you for this great savings advice!!! 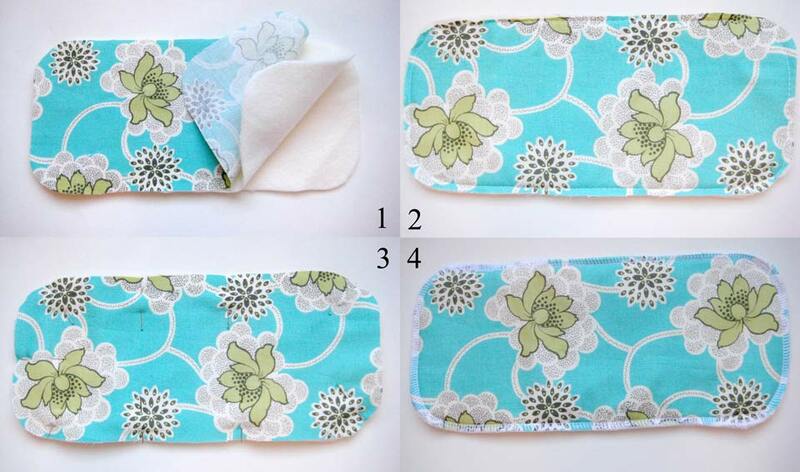 do your inserts lose absorbency when you machine dry them? or do you have to hang dry them all? Would the topcoat ton layer be regular 100% cotton woven fabric or knit? Would micro fleece work as well? I see it being used a lot lately but I have loads of regular woven cotton. Ready to make my inserts, but now I am wondering…what side of the fleece do I leave showing (next to baby’s skin)? My bamboo fleece is smooth on one side and fluffy on the other. Does it matter? I am ready to make my inserts, but now I am wondering what side of the bamboo fleece I should leave showing (next to baby’s skin)? My fabric is smooth on one side and fluffy on the other. Does it matter? Do i need to pay $9 to download? I don’t mind paying you, but don’t want my money going to Scribd needlessly. What a great tutorial! I am too much of a procrastinator to start such an important and timely project… but I thought it would be great for my readers. I linked to your tutorial in my post about cloth diapering. I hope you don’t mind. Thanks for such a great read! LOVE THIS TUTORIAL! But i love all your tutorials. i was wondering where you got your patterned fabric from? I love it so much! The fleece side is what goes against the baby, right? Then what is the purpose of the cotton layer?